Dena Bank issued the notification on April 18, 2017, for admission to the one year Post Graduate Diploma in Banking and Finance (PGDBF) course at Amity University, Noida. On successful completion of the course within the stipulated time period, the candidates would be offered appointment in the bank as Probationary Officer in Junior Management Grade/Scale-I (POs). Candidates shall be selected for Admission to the Course through a selection process consisting of the online test followed by Group Discussion and Personal Interview. 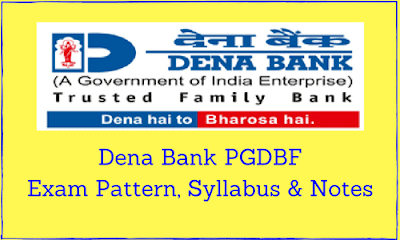 Admission to the One Year Full-Time Post Graduate Diploma Course comes with the assurance of a full-fledged Banking career with Dena Bank as Probationary Officer in Junior Management Grade/Scale-I (POs). The tentative date for the conduct of the online test for admission to the course has been fixed as June 11, 2017 (Sunday). Graduates in any discipline with a minimum of 60% mark obtained in the aggregate for the general category and with a minimum of 55% marks in case of reserved category candidates. As on 01.04.2017, the candidates should not be less than 20 years old and should not be more than 29 years of age i.e. a candidate must have been born not earlier than 01.04.1988 and not later than 01.04.1998 (both dates inclusive). Total no. of vacancies being 300 for the POs which include 206 for the general category candidates and 94 for the reserved category candidates. 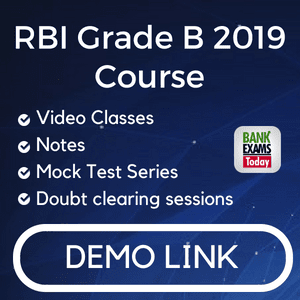 The unique advantage of this PGDBF course is that it assures you a brilliant career as a Probationary Officer in a nationalised bank where the growth opportunities in future are unlimited. Moreover, the Amity University, Noida is one of the best universities in Northern India having been established in 2003. The exam shall be of 300 marks which would include an online objective test of 200 marks in total and a descriptive test of 100 marks. Time allotted for all the four parts combined is 2 hours. 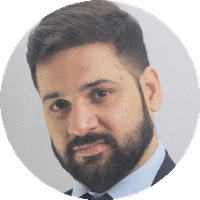 Each candidate will be required to obtain a minimum score in each test of Online Mains Examination and also a minimum total score to be considered for further process. There shall be Descriptive Test comprising of 2 questions from English Language comprising of 50 marks and the time duration for the two questions shall be 30 minutes in total. Descriptive Test shall be followed by Group Discussion constituting of 20 marks and the personal interview comprising of 80 marks. Only those candidates shall be called for the GD and Personal Interview as qualify in the Online Objective Test as well as the Descriptive Test. Four times the number of vacancies i.e. 300 x 4 = 1200 aspirants only shall be called for the GD and the personal interview. The aspirants must thoroughly read at least two newspapers one for National and International Topics i.e. “The Hindu” and one for the regional and National Topics and i.e. “The Tribune”. The aspirants would have to opt for a well-planned strategy to crack the examination. Practice minimum six hours per day (One and a half hour for each objective part) and one hour extra for English Language descriptive test (which may comprise of Letter Writing, Article Writing on the Current Topics, Precis Writing, etc.). Join some good coaching institute in your city. Devote yourself wholeheartedly to get selected in the test for admission to PGDBF Course which comes as a unique opportunity. Invest Rs.3.00 Lac for one-time fees and begin your assured career as a Probationary Officer having a beginning of nearly Rs.63000/- per month in the JMG Scale-I.